The book of Business English is a treasure for those who want to acquire knowledge of facts and English vocabulary referring to the basic spheres of business that you cannot avoid while working in an international companies and institutions. 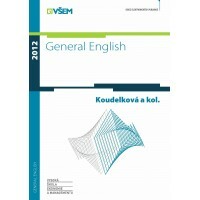 This book is intended to be a preparation course for the A1 exam of general English at University of Economics and Management (VŠEM). Diese Übungsgrammatik ist für die Studierenden als Vorbereitung auf die Prüfung in Deutsch N1 gedacht.